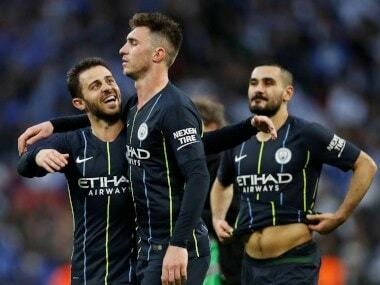 Manchester: Holders Manchester City can look forward to defending the League Cup in next month's final at Wembley as Gabriel Jesus struck four goals in a 9-0 thrashing of Burton Albion in their semi-final, first leg on Wednesday. Kevin de Bruyne, Oleksandr Zinchenko, Phil Foden, Kyle Walker and Riyad Mahrez were also on target against Nigel Clough's League One side as City ensured their visit to the Pirelli Stadium on 23 January is a mere formality. "Of course we are already in the final. We have to play the second leg and we will take it seriously. Happy to be in the final again," said City boss Pep Guardiola. It took City until the half-hour mark to double their advantage, but a glut of three goals in seven minutes followed to put the tie to bed before the break. City didn't need any luck but still got some when Zinchenko's intended cross then looped over Collins to make it 4-0. De Bruyne was then replaced by home favourite Foden, who was surprisingly left out the starting XI, just before the hour mark. 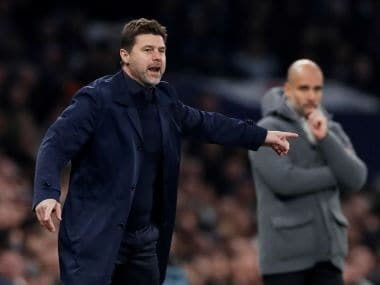 But that was the only thing City fell short of on the night with a final meeting against Tottenham or Chelsea on 24 February guaranteed.